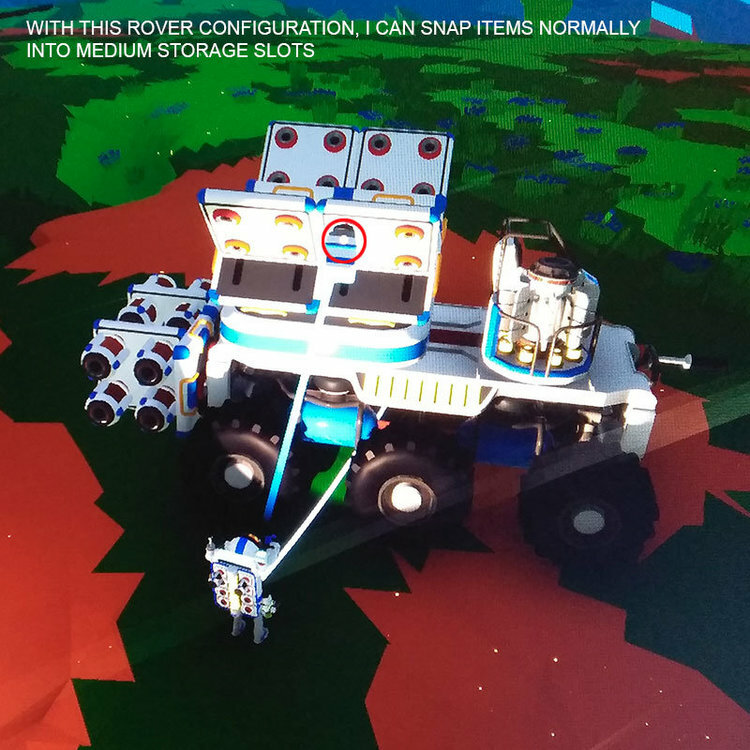 I noticed that after temporarly removing the RTG from next the Driver Seat of the Large Rover, I couldn't snap/store items into Medium Storage mounted in the back seats. 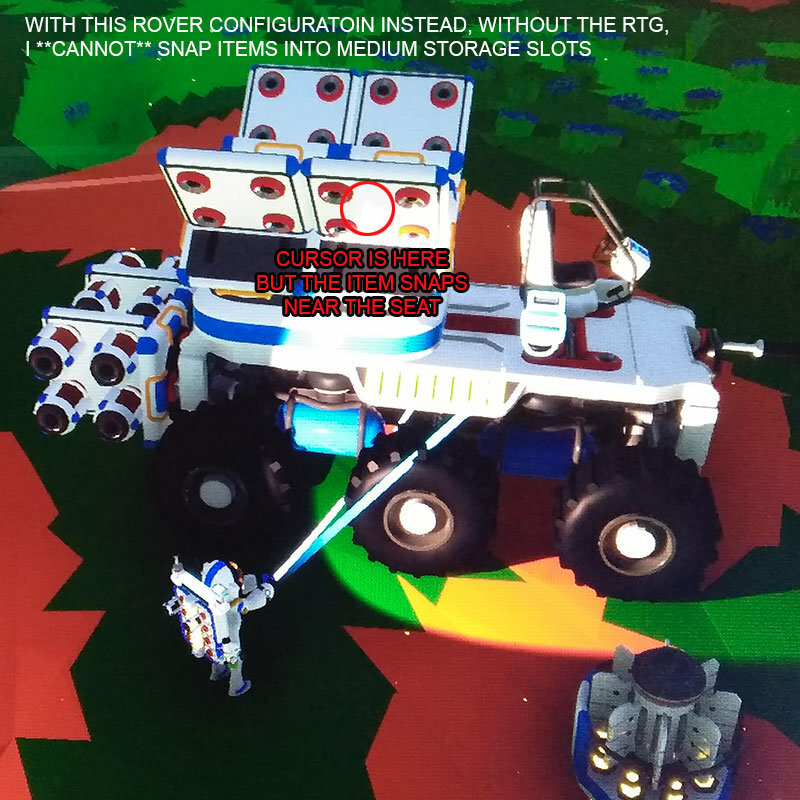 Putting the RTG back fixes the issue. Removing the RTG again, the issue comes back.